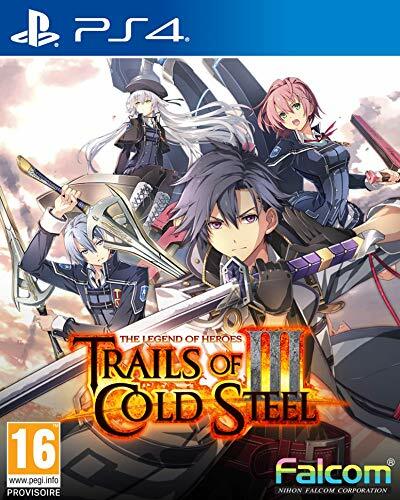 With the third entry in ‘The Legend of Heroes: Trails of Cold Steel’ franchise making its way to western shores on PS4 later this year, Nihon Falcom have also decided to release the enhanced remasters of the first two games outside of Japan. 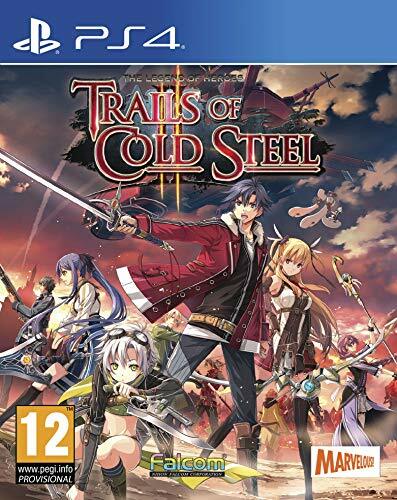 Having previously reviewed the first Trails of Cold Steel when it was released on PlayStation 3 in 2016, we felt that it was our duty to evaluate this current generation release to prepare us for the battles that lie ahead. 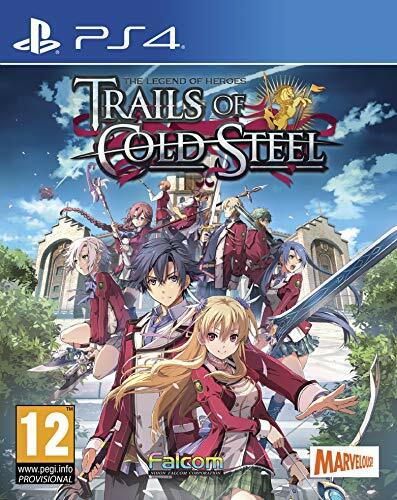 The first game in the series focuses on Rean Schwarzer, a young swordsman who has enrolled at Thors Military Academy, an academic institution for the art of warfare. During his induction, he is enrolled into Class 7, a newly formed group of students comprised of students from different social classes. As the game progresses, Rean and his classmates are given field exams that focus on combat, as well as dealing with social injustice wherever it rears its head. The plot is filled with many twists and turns, with some of the highlights including the gradually healing rift between Rean and Alisa, an emotional guarded student who falsely believed that Rean caught her in a comprising position. During your time at Thors, and the various times that you leave the campus, you can build relationships with your classmates by embarking on Bonding Events with them or performing group attacks by linking together your efforts during battle. The Bonding Events feel very much like the Social Link mechanic from Persona, where you learn new information about your team to fill your Student Records and take part in activities that you would otherwise not be able to perform. Your classmates can also learn additional actions for your Link Attacks, such as finishing blows, counterattacks and even automatic healing abilities if you become exceptionally well acquainted. The battle system relies on a turn-based queue system, similar to the one used in Final Fantasy X. As you might except, using certain abilities and attacks can delay an enemy’s place in the queue or bring them closer if you choose a particularly strong technique such as Offense Arts. You have a reasonable level of customisation over your team’s move set, thanks to the Quartz gameplay mechanic. These orbs contain various skills and stat increasing abilities based on the four basic elements and are slotted into various slots via the in-game menu. This allows the player to create more balanced characters, giving characters such as Rean and Gaius, who are best suited at hand to hand combat a few extra Arts to heal or buff their classmates in their hour of need. The enhancements that have been applied to the PS4 version of the game are mostly borrowed from the PC port that was released in 2018. It is now possible to switch between Japanese or English dialogue tracks, the latter option having five hundred extra voiced lines for conversations outside of cutscenes. The main selling point of this enhanced version is the Turbo Mode, which increases the gameplay speed four times during battle, and cutscenes run at twice their usual speed. Thankfully, the sound files run at the same speed, so you will not be accosted with higher pitched dialogue and music should you choose to speed up the game. As well as the technical changes, the graphics of The Trails of Cold Steel have been upgraded to 4K resolution, the frame rate has been doubled to reach 60 frames per second and the loading times between areas have been reduced to milliseconds instead of three seconds a piece. The soundtrack and voice files don’t seem to have been given much of an upgrade, but they sound as crisp and vibrant as they did on the PS3 version of the game. Overall, this enhanced port of The Legend of Heroes: Trails of Cold Steel is an entertaining RPG that has stood the test of time. The enhancements brought over from the PC release gives an incentive for older players to revisit the game and encourages new players to begin their journey at Thors Military Academy. If you have been looking for a new RPG series to play on your PlayStation 4, then this remastered version of one of the PS3’s best rated JRPG’s is a trip down memory lane you won’t soon regret. If you are searching for a new JRPG series to pass the time, The Legends of Heroes: Trails of Cold Steel is a revitalised starting point that certainly deserves your attention.